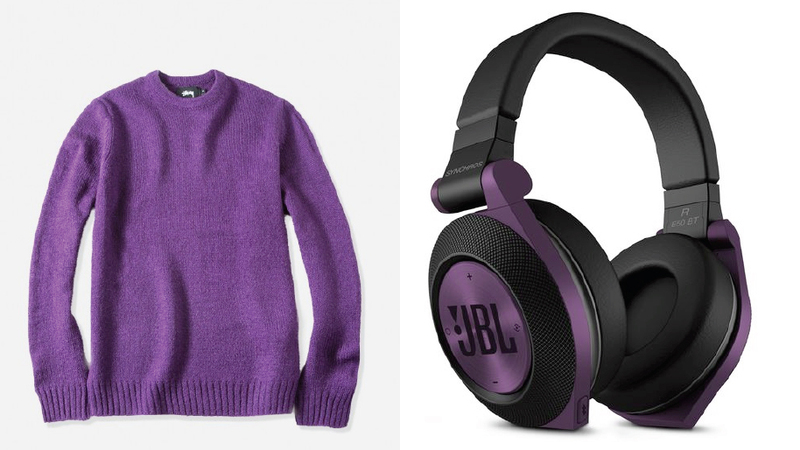 Give yourself the gift of good fashion & something that will go to good (daily) use, by pairing together a stylish winter sweater with some colorful headphones. The Woodsman Cardigan Sweater, $138, from J.Crew is 100% cotton and features a shawl collar, and patch shoulder detail in suede. 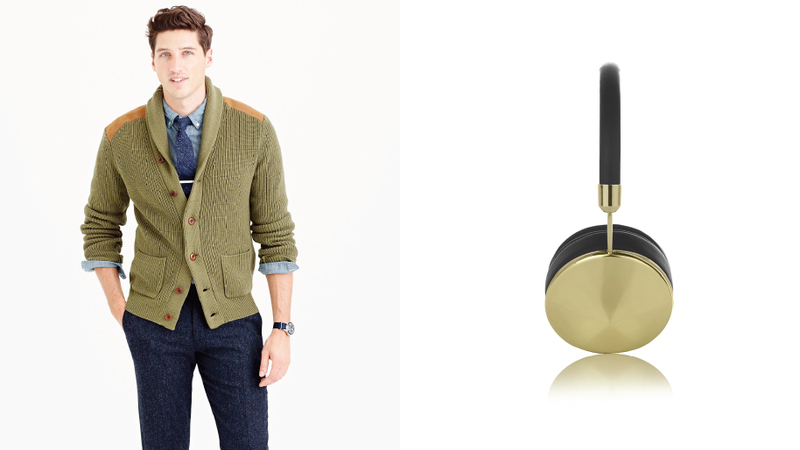 Wear this while listening to your new WeAreFrends Taylor Headphones, $199.95, in gold & black. Credit: Sweater, J.Crew; Headphones, WeAreFrends. 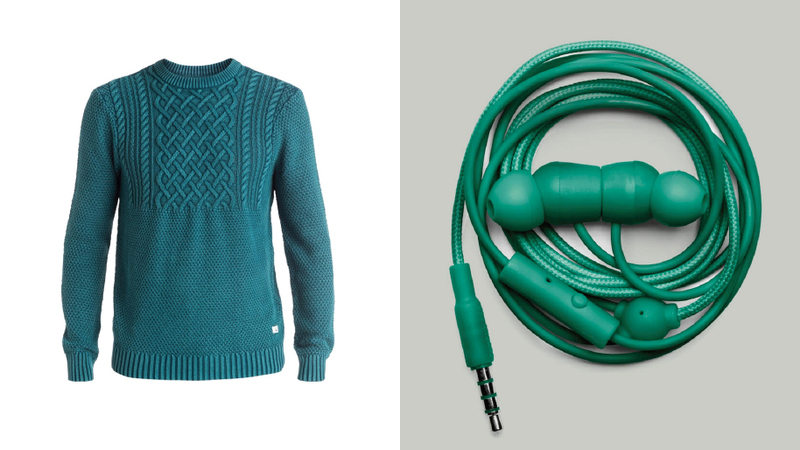 The Quiksilver Roughtide Sweater, $65, made in ‘Dark Denim’ (but really more like a deep turquoise) is a crew neck, rib knit sweater with cable knit detailing at top. Get through your boring day job by blasting out some Deafheaven on your Urbanears Bagis headphones in clover, $35. We’re not going to lie, it’s going to take some guts rocking this vibrant purple sweater, but we have faith you can do it (maybe.) For those not of the faint of heart, try the Stussy Solid Mohair Sweater, $105, in purple. To sport with it, the over ear, bluetooth JBL Synchors E50BT headphones, $149.95. Volcom’s Understated Sweater, $55, has the most fitting name as you could pretty much wear this slim fit, cotton/acrylic blend with just about anything. 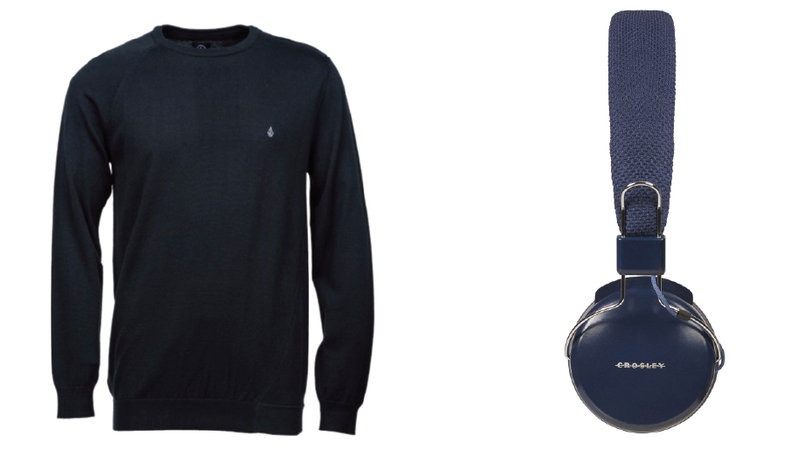 Similarly, the Crosley Radio Amplitone Headphones, $29.95, in blue, may prove to be your new favorite accessory.